“In this Instructable we will be debriefing the method of setting a soft extension limit for actuators with potentiometer feedback. 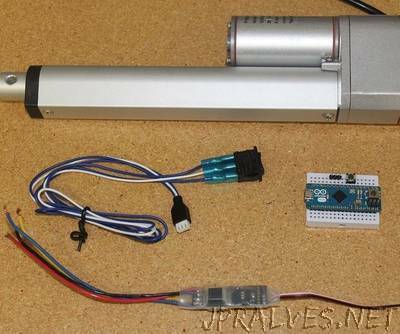 After completing this tutorial you will be able to successfully control the fully extended position of a linear actuator. All programming will be completed in the Arduino IDE. 1. The saved extended limit is reset to the original full extension limit once the Arduino loses power/reset. 2. This system should not be used in applications where human life or health or significant property value depend on its proper operation.